We love to help in the communities we serve. 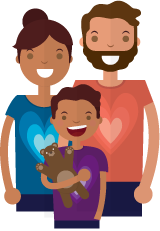 We’re championing healthier and happier kids and stronger communities through the Ronald McDonald House Charities®, sponsoring athletic teams, community volunteerism and supporting our local police departments. We are making progress around preserving the environment by using less energy, seeking sustainability food sources and reducing waste. Nearly every aspect of our community relies on public safety. Golden State Restaurant Group agrees and chooses to do everything in its power to support that. We value our guests and want them to feel safe in our restaurants, throughout all the cities in which we are located. Additionally, we want the officers to know that we, in turn, value them. 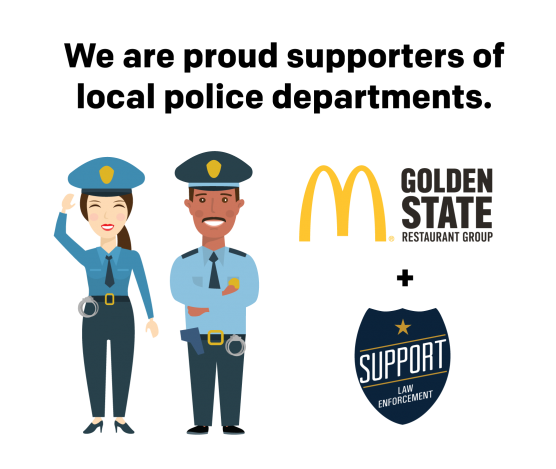 Day in and day out, Golden State Restaurant Group recognizes that our officers are putting their lives on the line and we fully support their vital role in our communities. To show support, Golden State Restaurant Group has held Beacon of Blue™ events to don each city in blue. In addition, Community BBQ’s and Community Pulse™ events are held to gather community members with their police departments to engage in conversation and better relationships. Golden State Restaurant Group invites the community to participate every year in the Give A Hand fundraiser in support of Ronald McDonald House Charities® (RMHC). “RMHC programs support more than 7 million children and their families around the world each year,” said Steve Ramirez, Global Chairman, RMHC and local McDonald’s owner/operator. “This important Give A Hand fundraiser assists us in our ongoing mission to help keep families together when they need it most.” At McDonald’s, we believe in the healing power of togetherness, Ronald McDonald House Charities does just that, by keeping families together during some of the most trying times in their lives. In the previous year, Golden State Restaurant Group raised over $40,000 for RMHC. RMHC, a non-profit, creates, finds, and supports programs that directly improve the health and wellbeing of children. 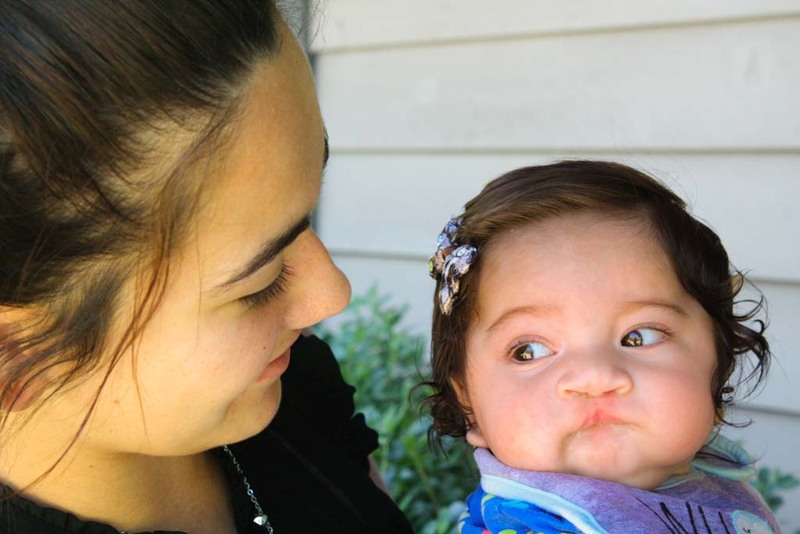 RMHC provides stability and resources needed for families to make and keep their children healthy and happy. All RMHC operated and supported programs provide a bridge to quality health care, giving children and their families the time they need together to heal faster and cope better. McDonald’s has been an RMHC Mission Partner for 40 years. Ronald McDonald Houses serve more than 8,000 families each day around the world, saving them over $311 million a year in hotel costs. In total, RMHC impacts the lives of 7 million children and their families around the world each year. I was 18 when I found out I was pregnant and I just graduated high school. I actually just started to go to Delta College. My husband and I wanted a girl so much so at my anatomy scan (23 weeks pregnant) they said I was having my girl! Birth defects never happened in either family so we weren’t worried or concerned about it. I was too young to even think about it.